Canadian writer-director Xavier Dolan has made several French-language films over the past few years, including 2014’s hyperactive Mommy. 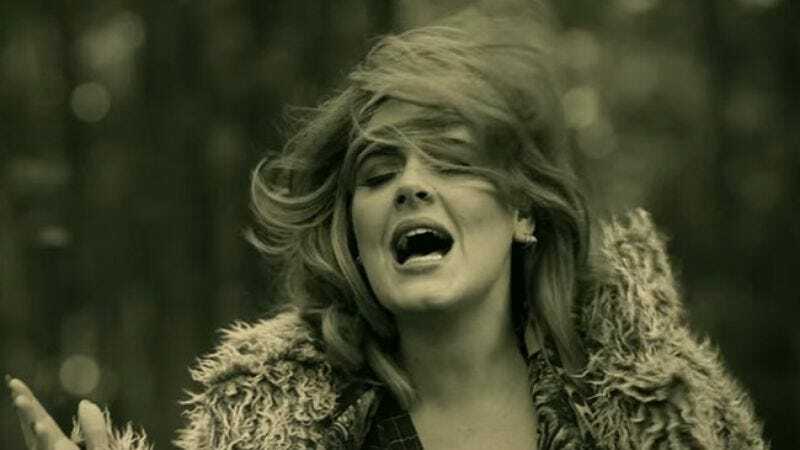 But now that he’s helmed the music video for Adele’s “Hello,” Hollywood has decided to trust him not just with an English-language debut, but also with one of the more impressive casts in recent memory. According to Collider, the forthcoming The Life And Death Of John F. Donovan will star Jessica Chastain, Natalie Portman, Susan Sarandon, Kit Harington, Nicholas Hoult, Thandie Newton, Kathy Bates, and Michael Gambon. See what kind of talent you can pull once you put Adele in monochrome and a giant coat? The Life And Death Of John F. Donovan follows John F. Donovan (Harington), a television actor who becomes pen pals with a young male fan living in England. When a gossip columnist (Chastain) exposes this correspondence, Donovan’s life enters “a vertical downfall”—which takes a lot less time than a downward spiral—as a result of “ill-founded assumptions.” Reports say that Sarandon will play Donovan’s mother and that Bates will portray his manager. There’s no further information about the other roles or the rest of the plot at this time, though it’s safe to say that at the end of all this Donovan probably dies. Dolan also is working on another French-language film, this one starring Marion Cotillard, Vincent Cassel, and Léa Seydoux. Titled It’s Only The End Of The World, the film follows a terminally ill writer who returns home after a long absence to announce his impending death to his family. Basically, if you go to the movies to escape the tragedy of real life, you might want to avoid Dolan’s work entirely.